LonkisDotCom e.K. 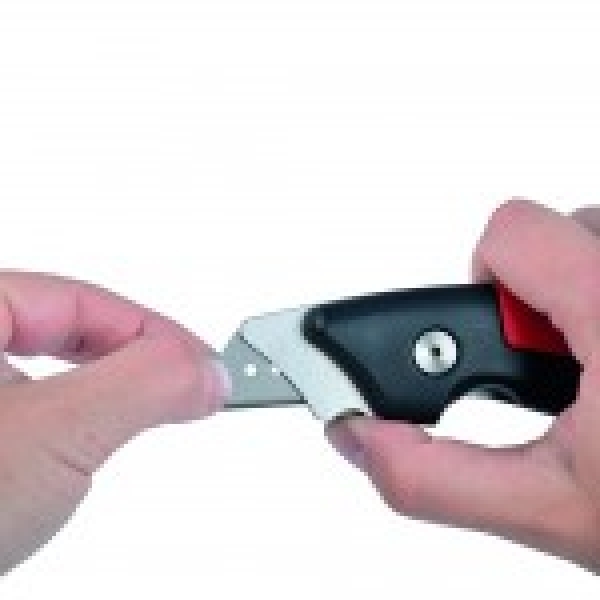 - Professional cutter "Shark"
Main page » Draft Items » Professional cutter "Shark"
This sturdy cutter is appropriate for many types of use: Do-it-yourself, wallpaper cutting, relocation, but also for professional work. The fold-out blade holder is made of stainless steel 420, the handle is made of sturdy ABS material. 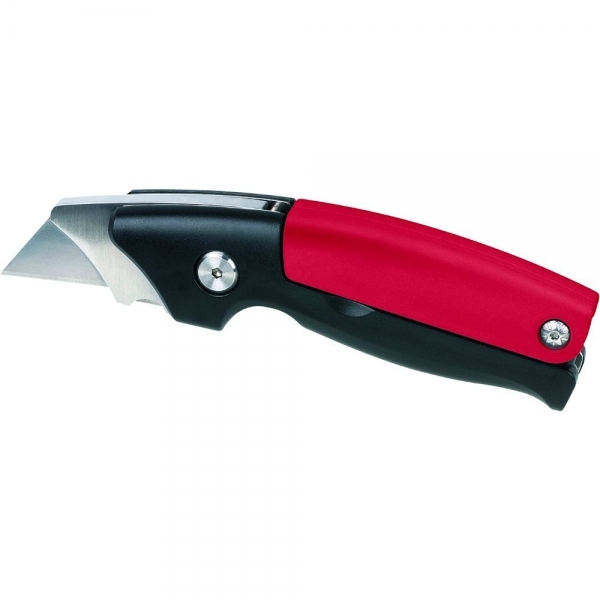 The locking mechanism locks the protruding blade in fold-out condition and thus guarantees safe handling when cutting different materials. The conventional trapeze blades can be changed quickly and safely by using the quick-release lock. 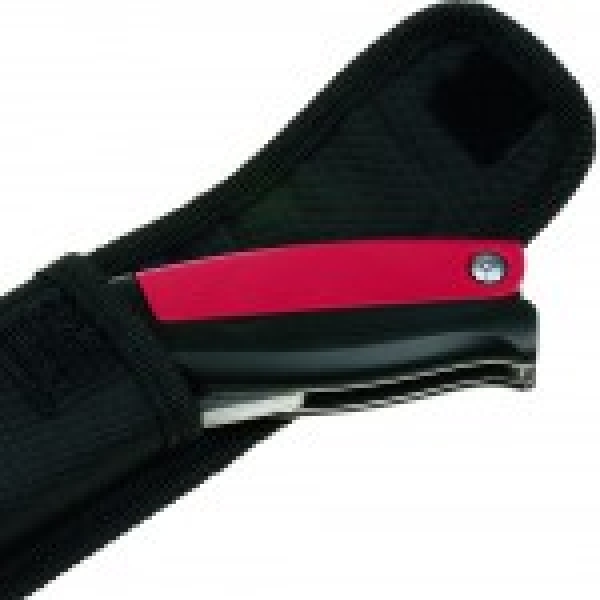 2 additional spare blades can be kept in the blade compartment. Comes with 3 trapeze blades and nylon belt bag.